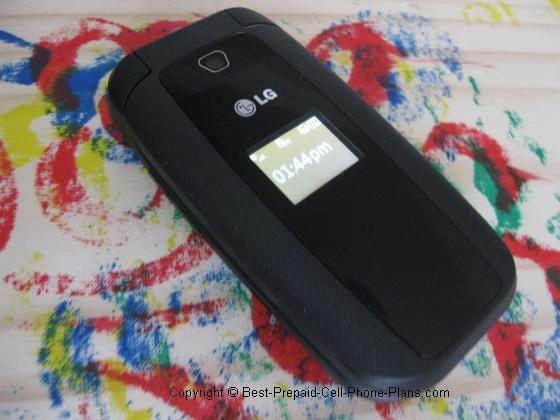 The Tracfone LG 440g is the latest iteration of basic prepaid flip phones. Compared to the 430g, its new features include a “text to speech” facility for reading messages out loud and a dedicated email client. Its one drawback is that it still does not have a slot for a memory card, rendering the mp3 player largely useless. 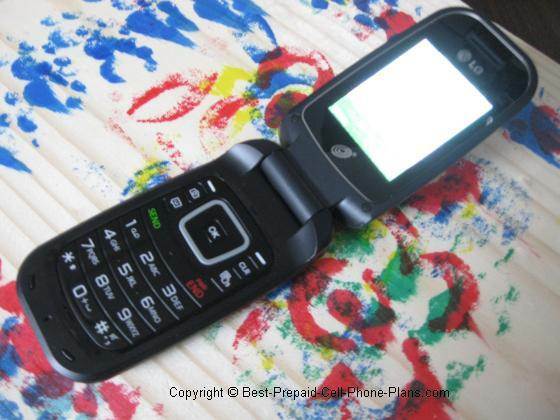 Okay, this phone has NO WiFi capability despite what it says in the description on Tracfone ’s website. This mistake could be the result of typo or a copy and paste error. 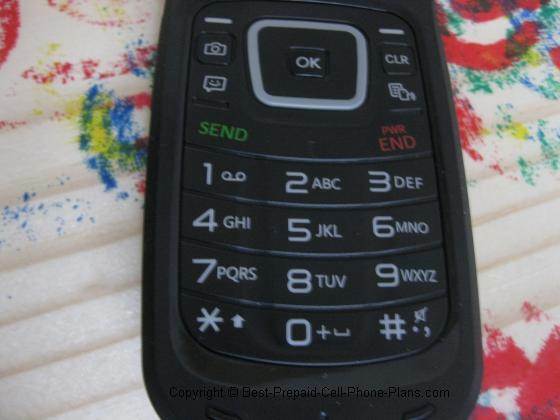 What this phone does have is 3G. Of course, you could ask, why do you want WiFi in this flip phone, and you really don't, but it was confusing because it is (was?) listed in the description. The LG 440g does have 3G web access. This makes web-browsing faster than before. One new feature is that airtime appears to be deducted fractionally. I turned on the browser to test if the text to speech works with it (it doesn’t) and then immediately turned the browser off. After the browser had shut down, I check the airtime and saw that I had used 0.06 minutes which works out to slightly less than 4 seconds. Earlier, airtime for web-browsing was deducted in half-minute increments. The 2.2 inch screen is the same size as its predecessor, the 430g, but it is significantly brighter. I set the brightness to maximum on both, using the same wallpaper graphic, and noticed a significant difference in the amount of light they put out. This does lower it’s official battery life a bit, but you can probably up that by turning down the screen brightness and timeout. The external screen is black and white again, but is also brighter than that of the 430g. 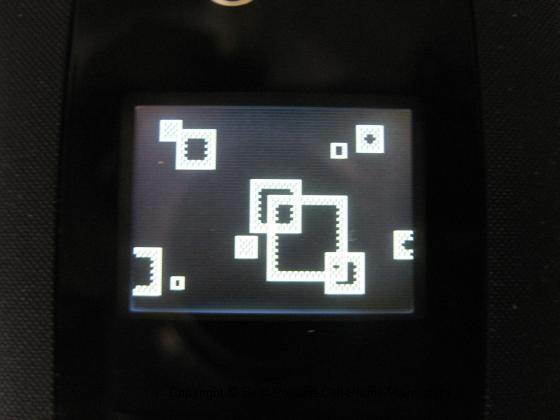 When the phone is open, it displays a kind of screensaver pattern as shown above. There are more Nav Keys above the numeric keypad. In addition to the two top “soft keys”, you can now access the camera, create a message, launch the Text to Speech tool or clear an entry. It does take a while to get used to the extra row of Nav Keys. I keep pressing the Text to Speech key instead of the END key to get out of a menu. The top right soft key is still tied to the web browser, however, I find that there are fewer accidental key presses due to the fact that there is a larger separation between that key and the END key. This tool allows you to read a text message (or email) out loud. In fact, if Text to Speech (TTS) is on, then when a text message comes in, the phone prompts you to say whether you want to hear it. This is pretty neat. You can turn this feature off simply by pressing the TTS button once. Note the pronunciation depends on whether you've selected English or Spanish in the phone language settings. So if the language is set to English, the pronunciation is for English words. If you read out a text in Spanish it will sound weird. However, if you set the language for the phone to Spanish, then text messages in Spanish are properly pronounced. If you receive messages in both languages, you'll have to choose which language you want pronounced correctly in the text to speech reader. This is the one feature that annoys me. There’s been an unannounced music player in this line of phones since for a while now, but this feature is still crippled by the fact that you can’t use an external memory card to hold your music. So how much internal memory is there. When checking the Common Memory on my practically empty phone (no pictures or music added), I saw that there was 98 MB of memory that was available to be used. If you used all of that for music, you could get maybe twenty mp3 songs on there. I guess that’s not totally useless. However, another drawback is that you can’t transfer the songs via data cable or directly to memory. You’ll have to transfer them via Bluetooth from your computer. Two demo games are included with the phone: Blockbreaker 3 Unlimited and Texas Hold'em Poker 2. You can play one level on Blockbreaker and then you have to buy to play further. These games take a few seconds longer than expected to launch, so you'll have to wait a bit. Blockbreaker worked fine. I didn't really take the to figure out the poker game, but it seemed t work okay. The 1.3 megapixel camera is pretty good for basic snapshots if you don’t have another camera around. You can transfer the full-resolution photos via Bluetooth or send smaller versions of them via picture message. Similarly, there’s a video recorder function available. 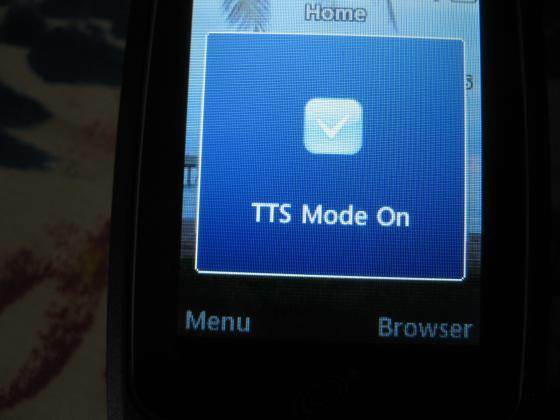 If you want to send the videos via picture message, you can adjust the settings to “MMS video mode”. 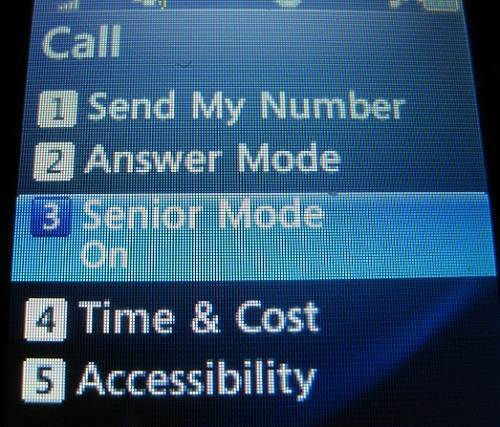 In the call settings, you can turn on "Senior Mode" which is described as providing "enhanced phone audio" - another way of saying "louder". If you're interested in this mode, you may also want to check out the Alcatel A382. LG 440g Tutorial here. The official manual is here, but is not accurate regarding a microSD card slot which has apparently been disabled. 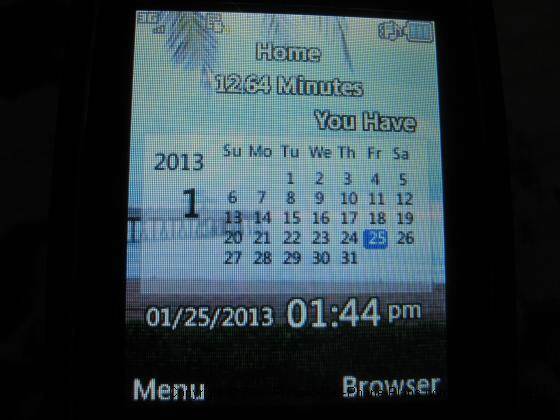 Good one to get if you’re set on a basic yet decent-looking flip phone. Features like 3G speed and functions like text to speech are pretty cool as well. Get the LG 440G for just $14.99 from TracFone. Though seen less often, flip phones still have their fans. Here are a few reviews of a few on this site. The Samsung S275g from NET10 was a obtained in an emergency but turned out to have a couple of surprising and nice features during testing. The Kyocera Kona is now Virgin Mobile's flagship basic phone if such a thing exists. It's got a pretty good camera but lacks Bluetooth transfer and has an annoyingly symmetric body. The Samsung T139 has been sold for years by T-Mobile with its price actually going up for some reason. A few phones with QWERTY keyboards. The LG 500g runs java apps, and you can listen to music while texting. The LG 900g has a nicer keyboard and screen and is available on the Net10 and Straight Talk plans.